All anodized orders affected by the shortfall have been cancelled and notifications sent. If you didn’t get one, your order is safe and just waiting on the refinished backplates. Thanks everyone for the kind words of encouragement (especially @Kurisu, @gnotg, @Lbibass, @beaker, @Nebulant, and @Quakemz). This has really been painful to deal with (a morning when you issue >$10,000 in refunds for product you already paid for is never a good one), but I’m feeling better now that I’ve worked out a way forward and have gotten so many encouraging messages of support, both here and by email. Thank you everyone for being such an awesome community. I’ll continue trying to do my part to make sure that I only ship you stuff that I deem awesome. If anyone is interested in what the issues were, here are a couple of photos. 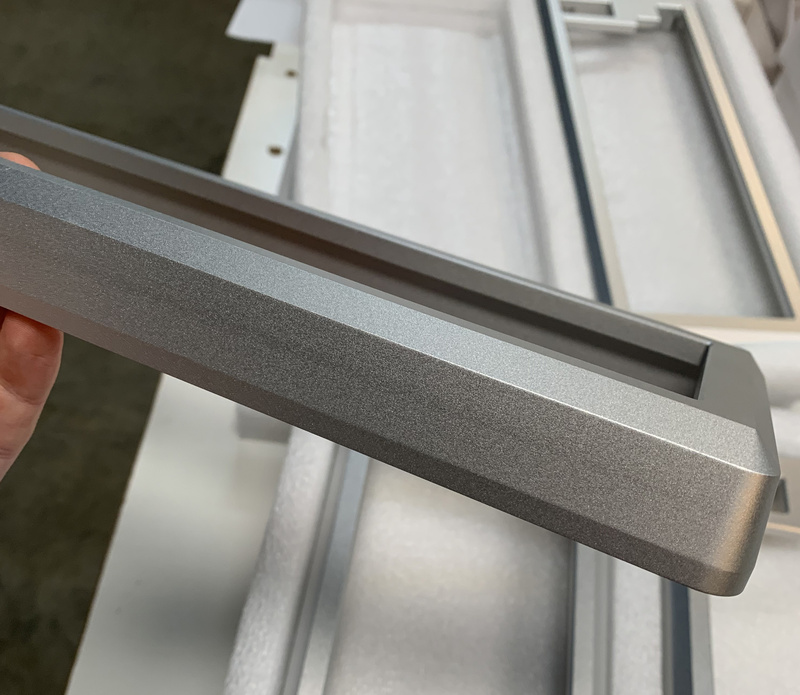 Most of the anodized housings had a long horizontal stripe of non-uniform finish running along their length. I believe this to be the extrusion pattern of the underlying metal billet showing through. 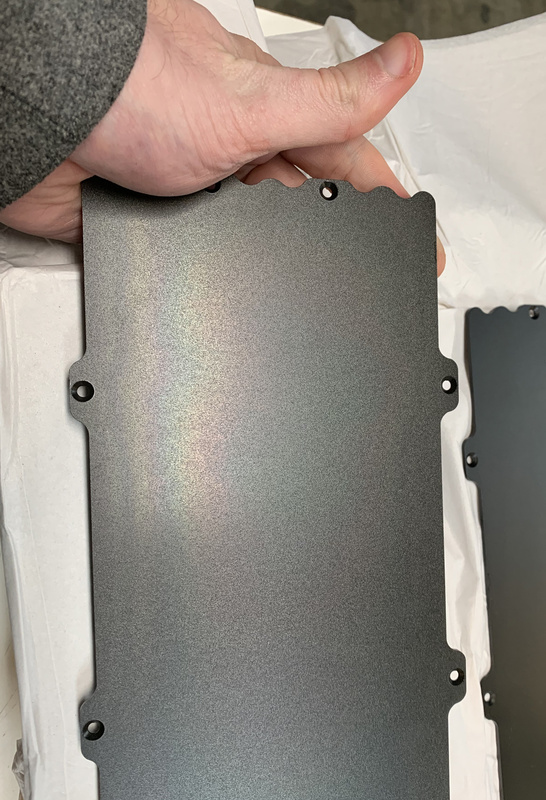 And the zinc-plated rear cover plates all had a pattern of weird rainbow-like chromatic aberration, due I believe to insufficient plating thickness. Are you planning to still sell these as B-stock? I wouldn’t mind these issues. What’s the difference between Royal Wrinkle or Enigma Gray? Royal Wrinkle is a textured black wrinkle finish. While it looks kind of wrinkly, when you touch it, it actually feels quite smooth. This video gives a pretty good sense of what it looks like. Enigma Gray is also a gentle texture that feels fairly smooth to the touch, but rather than having a wrinkle pattern it’s more of a microscopic stone/speckle pattern of a uniform medium gray color. Hope that helps a little. The pictures are the best reference. Frankly, I just don’t like selling b-stock. I don’t want stuff out there with my name on it that doesn’t represent the level of quality that I work hard to hold. Until the quantities I have allocated sell out. For those two finishes, you should be fine waiting until next week. I have not recieved a notification about a cancelation. I feel like I’ve won the lottery. SO much hype! You made my day! Are we still looking at end of March, where u will ship everything or will you send out the first batch earlier? Wait, what is this Monolivia? Holy Moly, that’s some serious bling! It should maybe come with rhinestones or something. Everything will have to be assembled at the same time, so all orders should ship toward the end of March. The plates are already on their way to the refinisher, so the ball is rolling. My pal @olivia requested if I could make her a Monolith with PVD Rose Gold. I’ve been working with the workshop (I’m visiting them again on Monday) and have been really impressed by the rose gold samples they showed me, so I added in a few extras and dubbed it the Monolivia in her honor. These are all individually hand-polished to a mirror finish before being PVD coated, which is why they’re a bit more expensive. Mine was one of the orders canceled. How close is the Royal Wrinkle to the black anodized? I know its textured, which is fine, but is it lighter? I want in on this GB, but I have a dilemma (#firstworldproblems ahead). 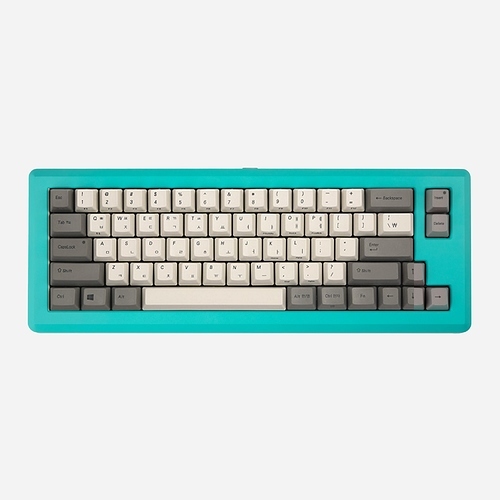 I don’t have access to the grey caps the boards are pictured with (unless someone can provide me a link), and I don’t like the blacked out keys because I think they are too difficult to read (at least in the lighting conditions I typically find myself). I can say this from experience with my RF87. Thus, I am left to ask: which of these finishes go best with the white and beige caps I have access to? My instinct is to go with the black board, but I have so many black boards it seems … too safe of a choice (for lack of a better turn of phrase). Also, Monolith and Monolivia are out of the question due to price. TL/DR: if someone could shop in the white / beige caps to the Heavy-6 pics I would be quite grateful. I haven’t gotten an email yet. The new colors look fantastic especially that enigma gray! @norbauer Thanks again for the relentless pursuit of perfection. I love all everything you put out and always look forward to your next project. Good luck with all the legal issues! Meaning your order is safe, not cancelled as per Ryan’s post here. How much space will there be between the PCB and the bottom plate? I’m thinking of putting some sorbothane or dampening foam to increase the thocky feeling even more. Would it be possible for you to photograph or take a video of your other case with the Royal Wrinkle finish with a few gray 660c caps? This color wasn’t available at launch and there are no pictures of this case color with stock 660c caps. I know its textured, which is fine, but is it lighter? Fine texture aside, the overall color impression is actually very similar. As I recall, I think it’s a bit over 1mm. I intentionally increased the gap by 1mm by switching from 8mm to 7mm standoffs for the sub-PCB for just this purpose. Even if you use foam thicker than roughly 1mm, it should compress a bit in the areas where it contacts the PCB and be fine. I guess just make sure to use non-conductive foam in that case. I’m afraid I don’t have any Heavy-6 samples in that particular finish. I have other keyboards with that finish and it’s one that I have used a lot, but just didn’t get any samples of the Heavy-6 in it, so I’m afraid you’ll have to use your imagination. This finish is one I added at the last minute to help give people who had black anodized units that got cancelled an alternative option. Thus, I am left to ask: which of these finishes go best with the white and beige caps I have access to? Unfortunately, I wasn’t able to get access to the gray-and-tan version when I was going my photography, so I wasn’t able to shoot photos, but @dc_in_sf’s mockups above look pretty compelling. I actually was going to suggest that the Maritime and Retro Refrigerator colors might be the best pairings. Aperture would probably also go well.